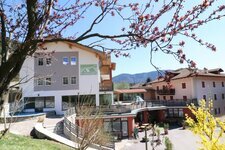 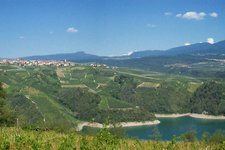 The Val di Non valley is known above all for its tasty apples grown at high altitudes. 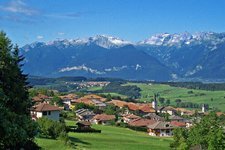 An enchanting scenery with quaint villages and mighty mountains is waiting for you. 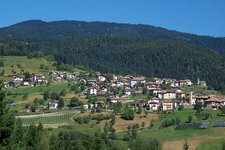 On an elevated plain, there is the largest valley of the Trentino. 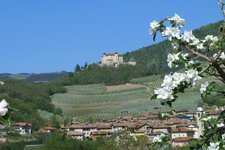 The Val di Non is not only famous for its apple orchards, but also offers exciting experiences in between of high mountains and deep gorges. 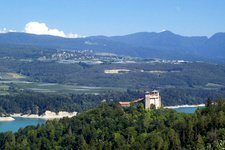 Accompany us on our walk in a land of fantastic cycling routes, green spaces and deep gorges, formed by the steady work of water. 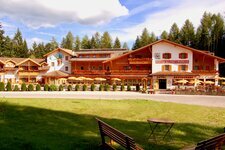 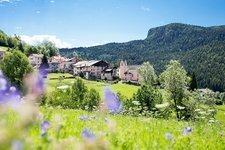 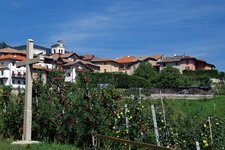 Since the 19th century, the small village of Ruffrè situated under the Passo della Mendola in Trentino has been a popular holiday destination. 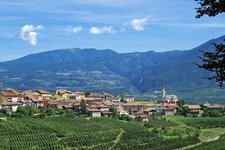 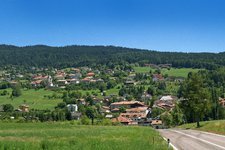 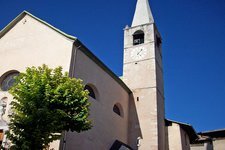 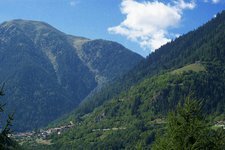 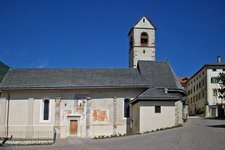 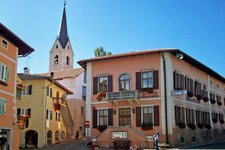 Located in the eastern Val di Non Valley, the village can be easily reached with the Mendola funicular railway or by some of the many, beautiful hiking trails. 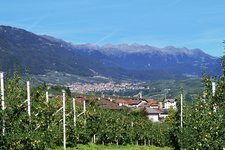 The Val di Non valley stretches between Mezzocorona and the Adige valley, along the Noce river to Lake Santa Giustina and further along the banks of Rio Novella to San Felice in the province of Bolzano. 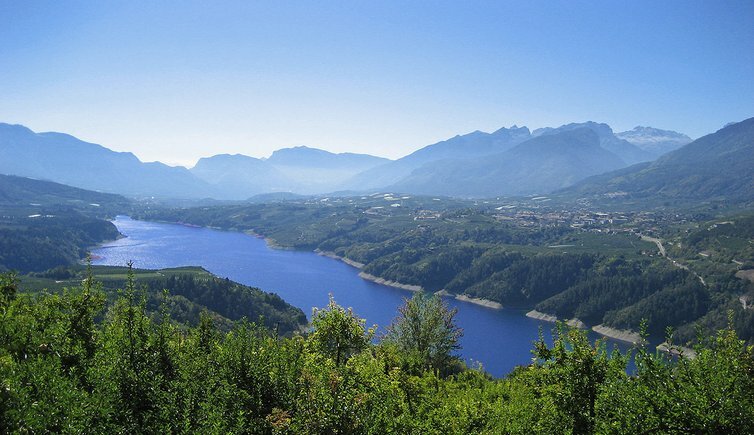 The valley is known above all for boasting numerous lakes such as Lake Santa Giustina, Lake San Felice or Tovel, which combine to create a unique natural highlight. 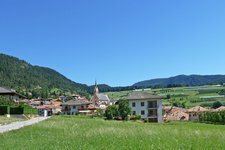 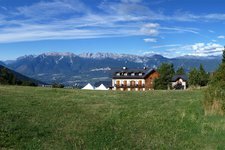 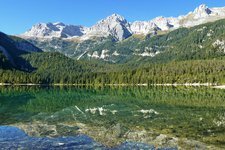 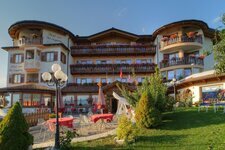 Moreover, the valley is an ideal starting point for hikes across the Brenta Dolomites, the Mendola and Ortles mountains as well as to Caldaro or Merano in stunning near-by South Tyrol. 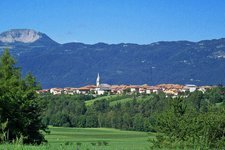 In the north it borders the Maddalene mountain range, in the south-west the Brenta Dolomites, in the east the Anauni mountains and in the south the Paganella Massif and the Andalo Saddle. 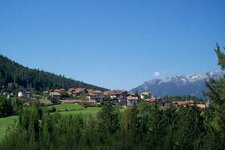 You can access the Val di Non valley when coming from the Val di Sole valley (across Passo Tonale-Lombardy), from the Adige valley (Mezzocorona), across Passo Mendola (via Caldaro, South Tyrol) or across Passo Palade (from Merano). 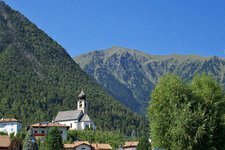 Trento and Cles are connected by a railway line, while Caldaro and Passo Mendola are connected by a funicular railway.